Home » Mobile » IMEI: All you need to about it? IMEI stands for "International Mobile Equipment Identity", with IMEI number your mobile can be traced from anywhere in the world, it is unique for each mobile number, like we have a unique MAC Address for each computer. 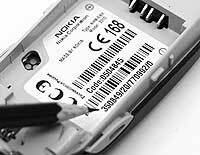 This number is used to identify any GSM, CDMA, and Satelite phones. What does the 15 digit code mean or refers to . If you loose your phone then apart from launching a complaint and blocking your SIM card, you can request your mobile service provider to block your mobile number by providing them IMEI number, so now even we if the thieve changes SIM card his phone wont work. If the thieve know how to change the IMEI number then he can, but it is treated as offences\crime.